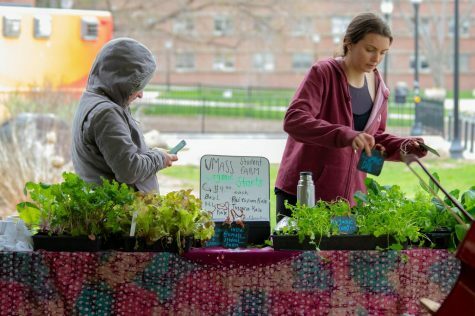 The Massachusetts softball team remains perfect in the Atlantic 10, but the midweek non-conference circuit hasn’t been so kind. 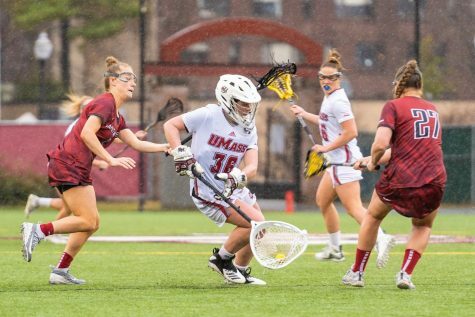 UMass (22-12, 11-0 A-10) fell to Boston College 3-0 last week, and Wednesday’s return matchup was more of the same, as the Minutewomen dropped a 5-0 contest to the Eagles (23-18, 9-5 Atlantic Coast Conference) at Sortino Field. 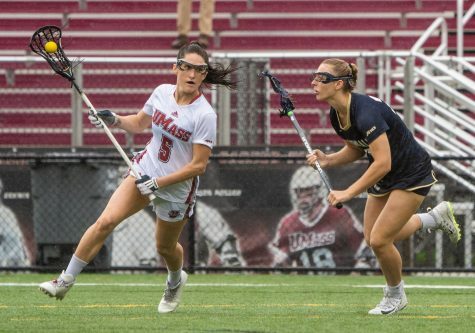 As has been the case multiple times this year, defensive mistakes sunk UMass, as two errors and a handful of glances off gloves helped BC post five runs on the afternoon. The Eagles got off to a quick start, plating two runs in each of the first two innings. With one on and one out in the first, freshman Riley Gregoire dropped a liner in right field to put runners on the corners, and CC Cook laced a double down the right field line to open the scoring. Eagles right fielder Lexi DiEmmanuele legged out an infield single to score the second, as Jena Cozza’s throw to first was too late. Annie Murphy’s double in the second extended the lead to 3-0, and UMass starter Meg Colleran was pulled after just an inning and a third, allowing four runs on six hits. Freshman Kiara Oliver allowed one inherited runner to score on an RBI groundout before getting out of the inning, but was strong through the rest of her outing, allowing one run in 5.2 innings of work, surrendering just three hits and striking out seven while walking none. The Eagles would score one more in the fifth, a solo homer from senior Chloe Sharabba, the only run charged to Oliver. 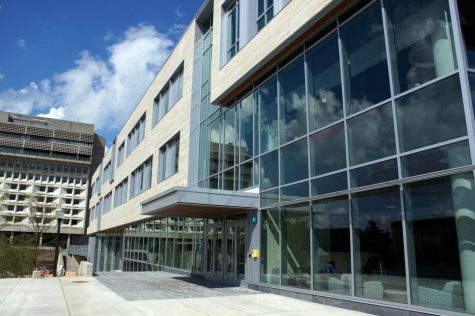 While only two errors were charged to the Minutewomen, Kaitlyn Stavinoha and Amy Smith both had runners advance when a ball skipped off their glove, and Gregoire struggled to smother a ball that dropped right in front of her in the outfield. While the defensive struggles weren’t new, the quiet afternoon at the plate was. 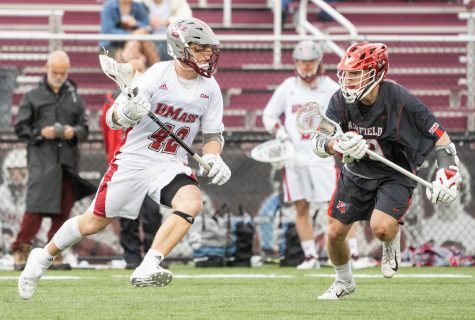 The usually potent UMass offense, the highest scoring A-10 team in conference play this season, couldn’t muster a run for the second straight week. The hits weren’t exactly nonexistent — the Minutewomen finished with seven — but baserunning mistakes and some poor clutch hitting kept the offense from producing. BC senior Jessica Dreswick threw seven innings of shutout ball, striking out nine and walking three. She retired the first eight UMass batters, and ran out an infield single for the day’s first hit, Gregoire was thrown out trying to take second with the nation’s leading hitter, Cozza, standing on the on-deck circle to end the third. Two innings later, Gregoire’s two-out single should’ve loaded the bases, but Stavinoha was gunned down at home after getting stranded in no-mans land. 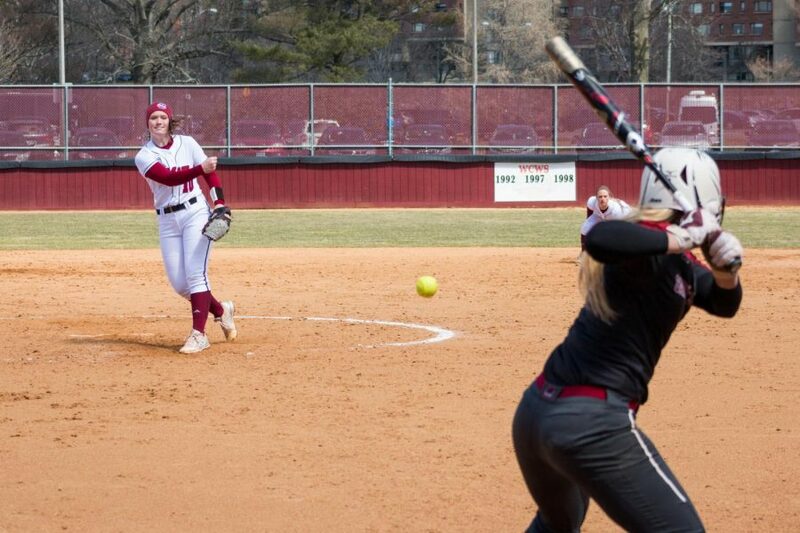 UMass’ final threat came in the sixth, with the bases loaded and one down, but Dreswick escaped after getting Madison Gimpl to ground into a fielder’s choice and punching out Amy Smith on strikes. The Minutewomen couldn’t rally in the seventh, and fell to their in-state rivals for the second time in eight days. 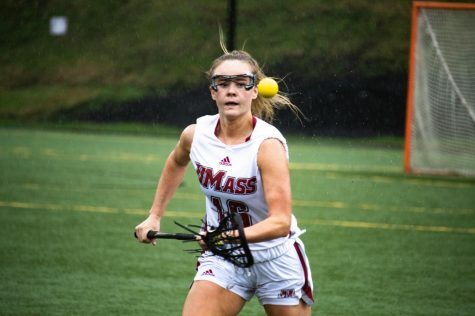 The sole bright spots for UMass were Oliver, pitching strong in relief, and Gregoire who, despite some issues defensively, had her best hitting performance of the season. 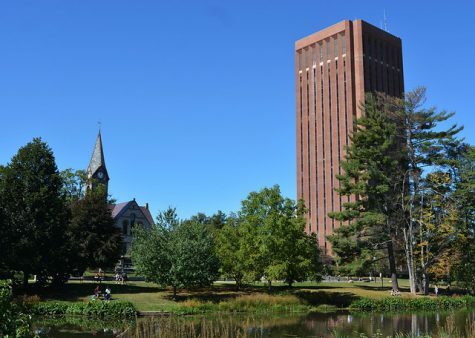 UMass will host Hartford for a doubleheader on Thursday, before heading to St. Bonaventure to continue conference play this weekend. First pitch Thursday is set for 1 p.m.